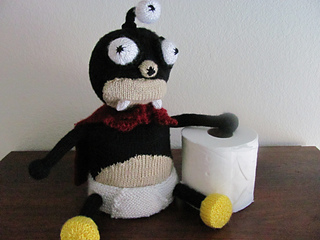 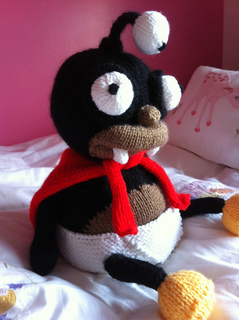 Nibbler is a sweet addition to your bathroom and will guard your spare roll. 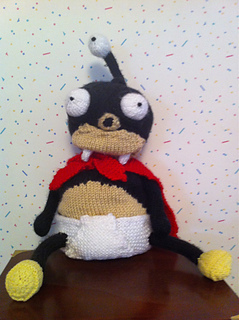 He’s a must for all Futurama fans. 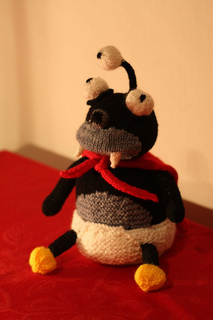 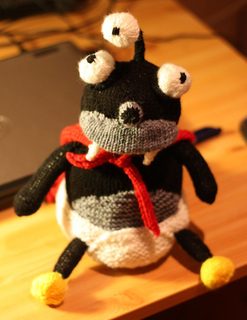 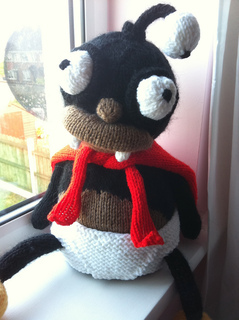 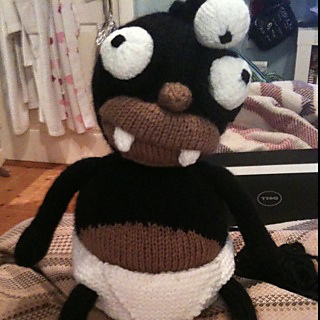 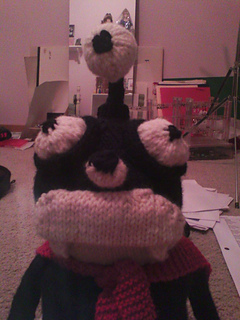 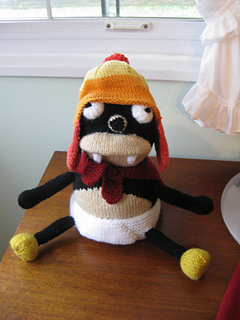 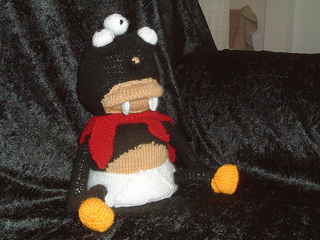 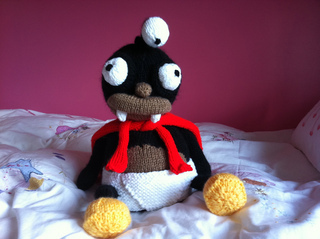 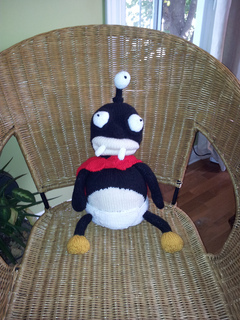 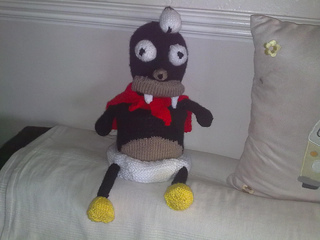 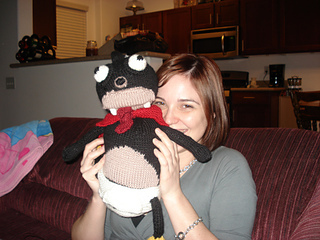 To make Nibbler you will need 100gr DK weight yarn in black, and smaller amounts of DK in white, beige, yellow and red. 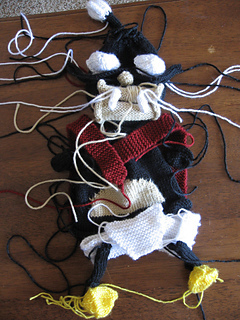 You will also need stuffing and some thin plastic (a clean milk carton is ideal).